Maria Lokken | Stand Up and Make Your Production Go Right! Stand Up and Make Your Production Go Right! Producers by nature are supposed to be good communicators. Remarkably I’ve found many who aren’t. Shocker, right? It’s astounding how many production companies don’t let their ‘rank and file’ know what’s going on day-to-day in a production. Productions are alive with lots of moving parts and I liken it to several dozen people rowing a boat with one person in charge. 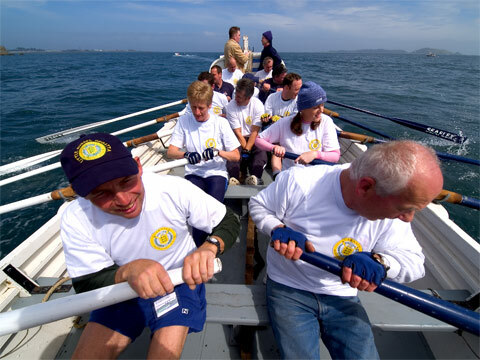 If the person at the helm doesn’t keep everyone going in the same direction, you’ll end up with oars moving in many different directions. Can you spell c-a-p-s-i-z-e? How can you avoid drowning in a sea of production details? The answer: hold a meeting. If you’re thinking that you misunderstand me – I’m not talking about the kind of meeting where the production staff grabs a Starbucks and a Krispy Kreme and sits around the table endlessly yammering – that would be a colossal waste of time. The kind of meeting I’m talking about is a STAND UP MEETING. These are quick fast production meetings to coordinate everyone who is on the team. These meeting are held in the round where everyone stands up, if you’re standing up you don’t have time to get comfortable and start yammering. Time limit 5-7 minutes. Then, meeting adjourned and everyone goes about doing their part of the production. The purpose of the stand up meeting is coordination. Without real time coordination things tend to get lost, deadlines missed, and easily solved problems become a bad situation that keeps you up at night and costs you money. 1. Hold your stand up meeting first thing in the morning. The most important item on the agenda is giving the staff the objectives to be accomplished for the day. You should also quickly go over any problems. For example, if you’re running behind schedule, let the group know. There may be someone who is up to speed on their work and can pitch in. Or maybe someone has a scathingly brilliant idea on how you can make up the time. In any event, everyone’s in the same boat rowing toward the same beautiful shore line – a production that scores high ratings. 2, This is also the time to coordinate producers with their screeners, loggers and PA’s and find out if there are any trouble spots. This is not necessarily the time to fix those problems – you can do that amongst the key personnel involved right after the meeting. This is the time to identify any problems. 3. I have also found it’s very helpful to hold another stand up meeting around 4 p.m. to quickly go over the progress of the day and if there are any red flags that can be fixed before the close of business. Not the close of your business, because production doesn’t close – but if you need to coordinate or get something done quickly with outside entities/vendors, like permits, rentals, banks, etc. this is the time to do it. If you’re thinking to yourself, “But I don’t have time to meet with the production personnel, I’m too busy producing,” then you need to get a grip. You do have 14 minutes each day to coordinate with the very people who are going to help you row that boat to shore and get your production in on time and under budget. You have no production without the personnel – so get them together and keep them coordinated. 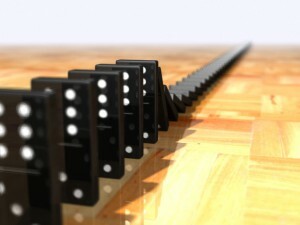 If you’re suffering from the disease of production chaos – and it is a disease, once one domino falls the others aren’t far behind – then start having stand up meetings. Get coordinated, involve your team and produce a highly rated show. this is one of the first lessons I learned from working with you – and those stand-up meetings have stood in good stead on nearly every production I’ve worked on since. In fact, the shows that quickly went off the rails were the ones where there was “no time” to DO those meetings. Well said! Communication is the missing link in productions that fail. The worst thing a producer can do is to assume everyone else just “gets it.” Regular, planned meetings to make sure everyone is on the same page are an absolute must. On a show like Scream Queens where we can have almost 200 people on set at any given time, it would be a crime to just “hope” everyone gets it right. Don’t plan your production without penciling in time for quick meetings to make sure everyone is on the same page. Biagio – you definitely have your hands full during your productions. Besides production meetings, is there anything else you use to keep the entire crew in sync?